Shadows cloak the grand old oaks, limbs outstretched with waving arms, reaching for a passerby to claw with leafy hands. The moon is ghostly overhead, an eyeball watching the dead of night. Winds are cool like a breath from beyond, and summer is almost gone. The bewitching hour is near. Autumn in New Orleans offers a cornucopia of celebratory feasts. No longer do the days soak the skin like a sauna bath of hot steam. Leaves are still green, but the golden aura of afternoon sunlight beaming between oak trees conjure images of social gatherings, festive gifts, and ghosts of the past. The tingles of holiday cheer creep up the spine like spirited elves bringing childhood memories back to life. It’s time for the holidays in dear old Southland. Halloween, Thanksgiving, Christmas, New Years. A time when the decorations are brought down from the attic. When the windows of each house along St. Charles Avenue are lit with candles and colored lights. When the French Quarter becomes a land filled with parades, galas and garlands. The grandest of these special occasions is All Hallows Eve, and while Halloween is celebrated in each American city, there is no other place that makes Halloween an event for all ages, young, old and in-between, other than New Orleans. As grandiose and gratuitous as Mardi Gras, the new Krewe of Boo! Halloween Parade rolls through the heart of the city with incandescent caravans of masked creatures throwing prizes to the shouting crowds below the floats boasting themes of classic horror in a cinematic spectral that must been seen to be believed! Extravagant are the costumes. Electric is the atmosphere. New Orleans is said to be the most haunted city in America, and what a better place for the dead to revisit their loved ones than in a city where the ethereal door is eternally open. 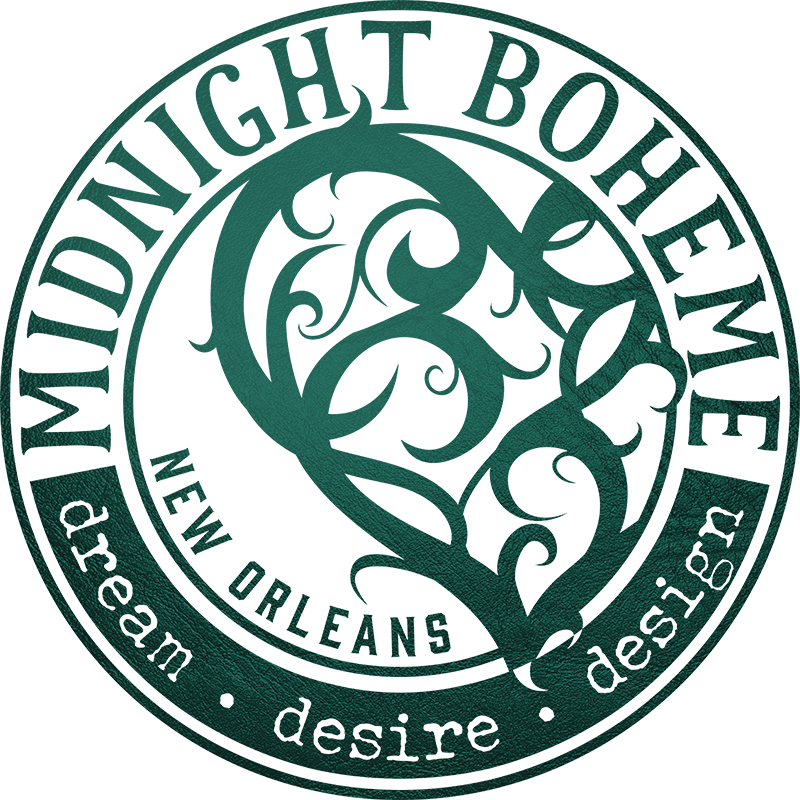 When New Orleanians, both adult and adolescent, walk the streets on October 31st, the spirits of years gone by are welcomed into the realm where the living reside. On front stoops of the shotgun houses, protective jack-o-lanterns frighten away evil entities. Residents stretch faux cobwebs from gallery to banquette with orange and green spotlights casting eerie shadows upon the stuffed décor guarding their front doorsteps. The Quarter becomes a bevy of costumed mayhem, crowds forming parades, people partying with whimsical props, and an enigmatic sense of memento mori lingers in the atmosphere. In the wake of crowds, the nocturnal souls wander. Mask or face, painted like skull, shadowed in zombie make-up, eyes darting while bodies swarm in the narrow rues of Vieux Carré, and who knows if the person beside you is alive, dead, or revived for this one night of remembering the deceased. Fangs of a vampire, sewed lips of a voodoo doll, and the Victorian gown of a skeleton bride… these characters roam among the humans on a night where each guise is considered a work of craftsmanship and never questioned if it belongs to one from the grave. But whether mummy, Frankenstein’s monster, or mythical monster, no matter who is on that dance floor, in New Orleans every living being is expected to celebrate the souls of the past. Remember those who have gone to the great beyond and remember that we all ride the same float toward the same destination. The key is to make the journey a memorable ride.